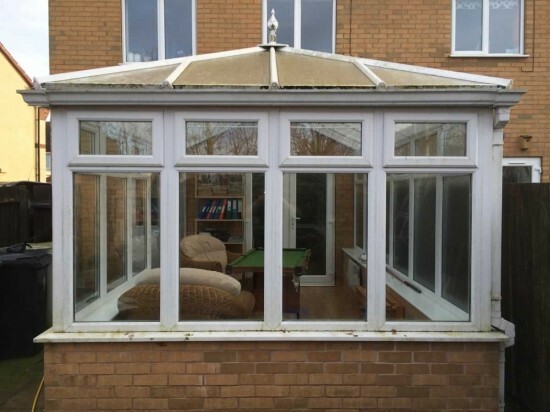 Is your conservatory a room you can be proud of? 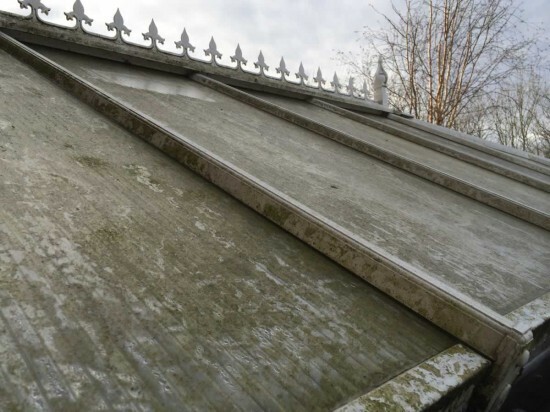 Conservatory cleaning is essential in our damp climate where lichen and green algae tend to thrive on white uPVC surfaces. 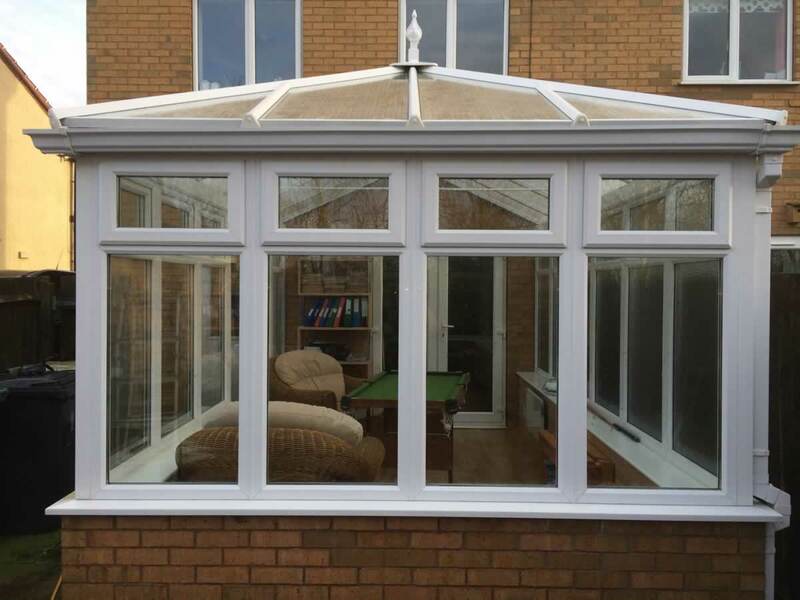 Lane's window cleaning specialise in both standard conservatory maintenance cleans, and also deep cleaning and restoration of conservatories that may have been previously neglected. Using our pure water cleaning system and specialist brushes we can gently scrub away the grime to reveal the sparkling white uPVC below. 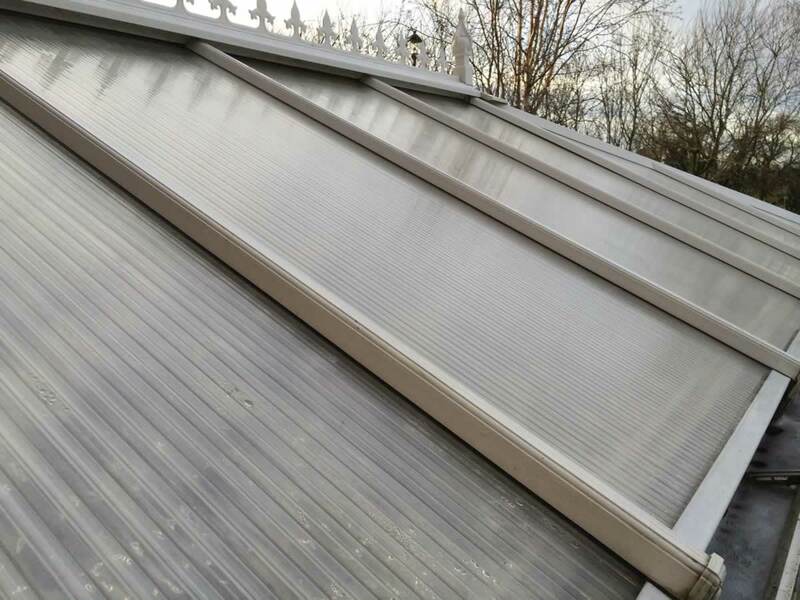 Conservatory roofs are often neglected by window cleaners because they are hard to reach - but Lane's window cleaning have specialist solutions and some clever tricks to safely and easily reach most roof panels, usually without even using ladders. Or specialist detergents can remove even the most stubborn stains, leaving a sparkling finish. 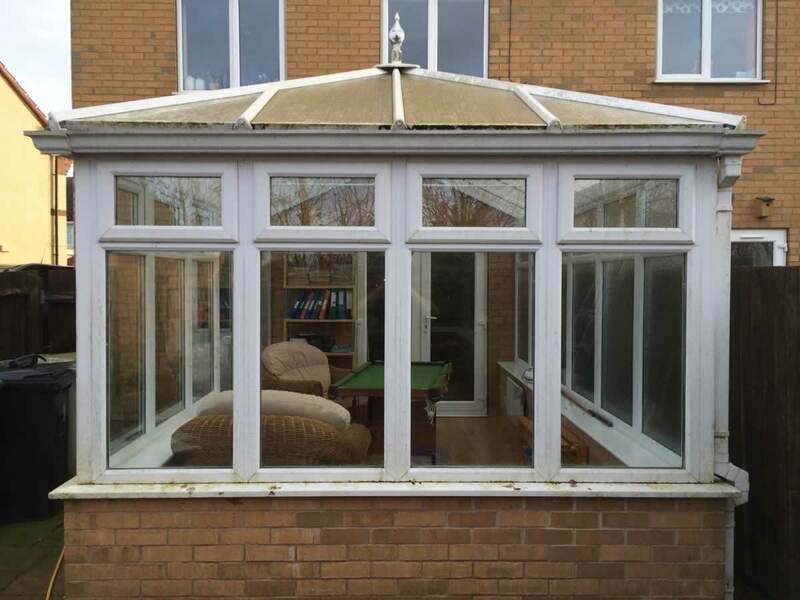 Check out our Gallery to see some of the conservatory's we've cleaned recently..
We offer professional conservatory cleaning services in Grantham, Oakham, Stamford, Uppingham, Empingham, Seaton, Ketton, Hambleton, Lyddington, Burghley, Wing, Aswell, Whissendine, Buckminster, Caldecott. Harringworth, Preston and everywhere in between. Call us today on 07709 416601 to book! "Thanks again for all your hard work - I'm really impressed with results and I've had loads of positive comments and passed on your number to a few friends already." "Really happy with the job Darren, it looks like new again! I'd like to book you to clean my mothers conservatory too if you could fit us in sometime soon?"